Hola, cariño. ¿Quieres un poco de torta Tres leche? I really am lucky to have such amazing friends who will invite me over for a taco night dinner. And I gladly pay that favour back by providing an apt dessert. 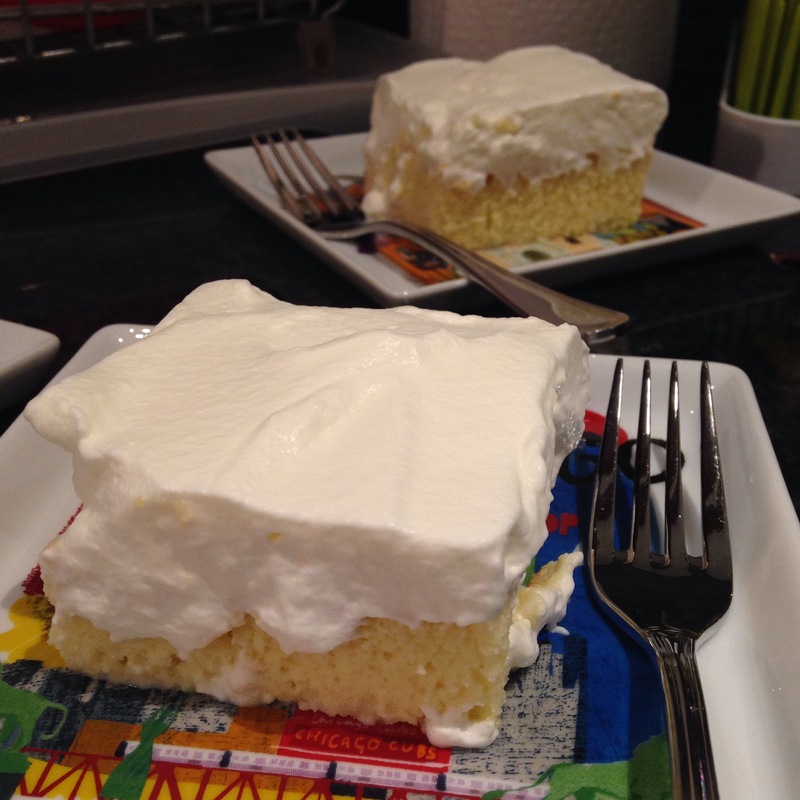 While there are more appropriate Mexican-themed desserts to make such as flan, empanadas, or churros, the light tres leches cake (or milk cake) was the perfect end to a favourful fiesta. And super easy to make as you’ll soon find out! These are dangerous! 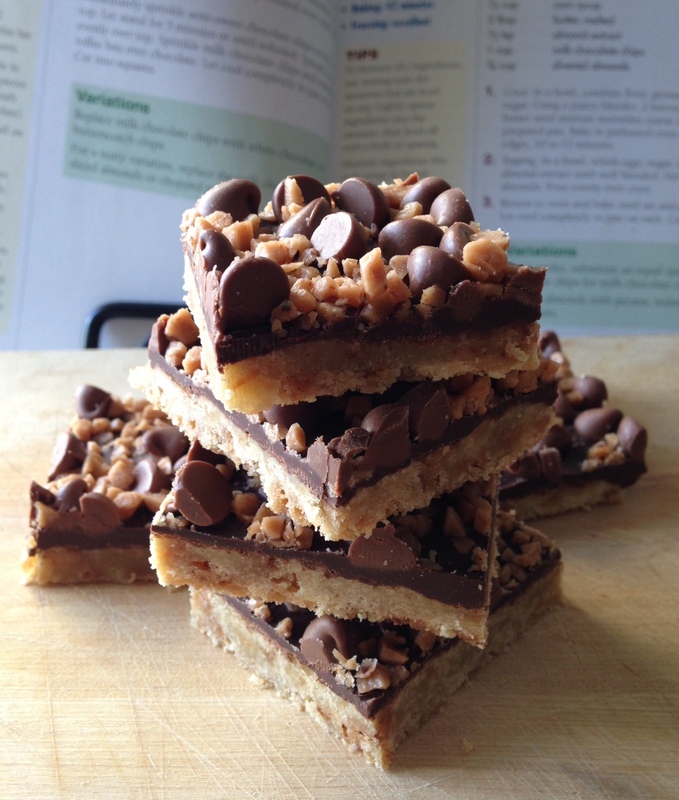 A delicious cookie base topped with double the dose of chocolate and toffee bits to boot. This recipe comes from the book aptly titled “Bars & Squares” by Jill Snider — a book I rarely use though I often thumb through it. It has so many great sounding recipes, it’s a wonder I don’t put it to good use more often (oh I know, lack of pictures). However, these squares didn’t have a picture but rather a short list of ingredients and make a tonne of squares to either share or stash. Lesson: Don’t judge a recipe by its lack of professionally edited photo. For never was there a story of more hell than this of my weakness for salted caramel. And by “hell” I of course mean Heaven because there truly is no greater come-to-Jesus moment than savouring a bite of decadent creamy cheesecake smothered with a layer of smooth salted caramel. 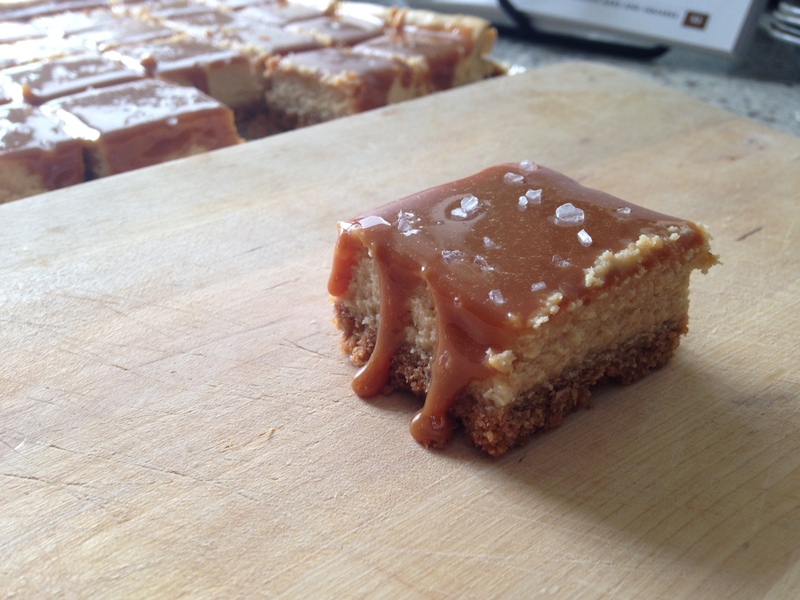 This recipe was really an amalgam of several similar salted caramel cheesecake recipes I found on the Interwebs. The result was a product of my pantry not being completely stocked up. For example, I didn’t have Oreo crumbs so I went with a classic graham crumb crust, which also meant I had to add just a little bit of sugar to compensate for the sweetness that Oreo cookies would have provided. To make the caramel topping, I needed to add whipping cream but all I had was cream liqueur… and that’s a little peek into my life so we should just move on. I feel like this recipe will play out more like a How-to than an actual recipe. You ever do arts and craft activities from Highlights Magazine? It’s sort of like that! Flour your work surface and roll out one pie crust and cut out 12 circles with the cookie cutter. Spread a small amount of the Dulce de Leche in the centre of the circle, then top it with a spoonful of the apple pie filling. You are able to roll out the dough you cut away for more cookies. The caramel will not spill out too much during baking thus avoiding a burnt sugary mess. Roll out the other dough on a floured surface and cut into strips with the pizza cutter. Lay them across each other to create a lattice and cut them with the cookie cutter. Carefully lift off the surface using a spatula and place on top of the filling. Brush with the egg wash and sprinkle with sugar. Bake for 20 minutes or until golden brown. These elegant shortbread cookies were perfect for holiday celebrations and #BakeChain packages. I found this recipe at Fine Cooking (particularly their special edition magazine The Best of Fine Cooking: Cookies). I knew I found a winner when my Dad gave them his seal of approval… but he said he’d like them better without the jam and the glaze. Thanks, dude! 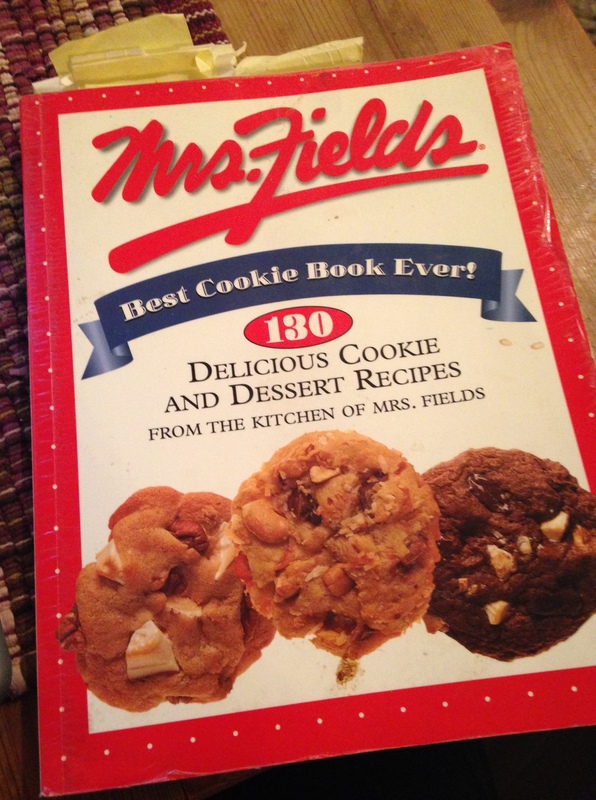 Book Review: Mrs. Fields Best Cookie Book Ever! In my very first baking blog (no longer active), I had a series of cookbook reviews. I decided to continue that unknown tradition with a clean slate. You might ask, “Cookbooks? Do people still buy those?” Yes, stupid. Shaddup! Despite usually turning to the Internet for recipes, I just loved owning and thumbing through recipe books. I have a simple criteria: Every recipe must have a picture! 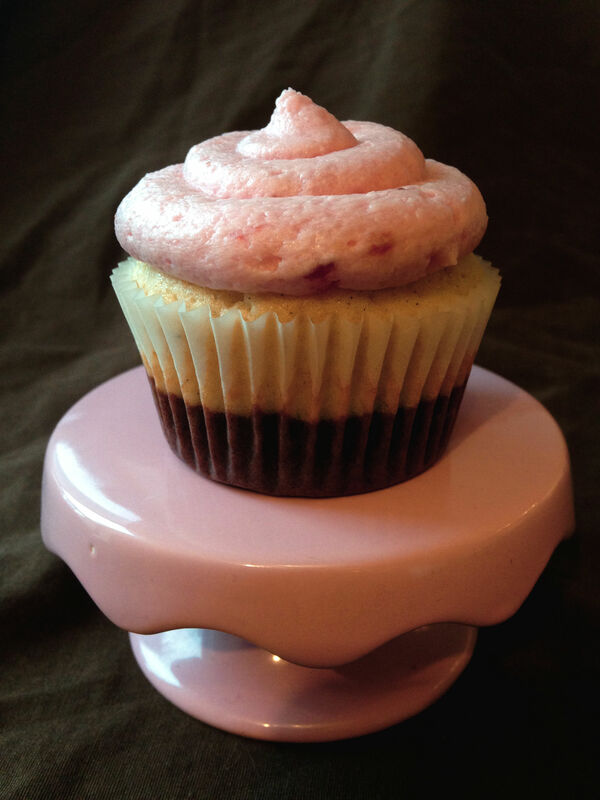 I found the recipe for this classy cupcake at CookingClassy.com though I used my own strawberry buttercream. I was looking for a lovely cupcake to complement a lovely meal prepared by my friend’s mother. Alright, I’ll level with you, I was trying to impress the mother. Not sure why, probably because I can’t impress my own sometimes.